One of the important conditions to attract investments into the economy is country's high investment ranking. The higher the ranking, the higher the attractiveness for investors and lower the risk of investments. Improvement of the ranking lets country to attract the capitals of bigger and reliable investors. The aim of this project is to stimulate the development of favorable investment climate of different economies, improvement of the quality of their legislation and effectiveness of its use, improvement of investment attractiveness, share of advanced knowledge and comparison of country's experience in business environment improvement. The distinctive feature of project "Doing Business" is reform advancement that doesn't need high budget costs, investments and directed firstly to lowering the redundant bureaucratic load to business that is especially important for developing countries and transitional economies. Under the ranking "Ease of Doing Business" economies are ranked from 1 to 181, with first place being the best. The higher the ranking on the ease of doing business index means the regulatory environment is conducive to the operation of business in this economy. This index averages the country's percentile rankings on 10 topics, made up of a variety of indicators, giving equal weight to each topic. The methodology assess the ease of procedure for starting a business, licensing, hiring and firing employees, registering property, getting credit, protecting investors, paying taxes, import- export operations, enforcing contracts and closing a business. Implementation of these actions has to be completed in May, 2009. Tajikistan has taken significant steps towards deepening economic reforms, restructuring the national economy and developing international relations. Foreign trade and currency transactions have been liberalized. All of the country's acting small enterprises and approximately 70% of the medium and large enterprises have been privatized. The Government expects big investments in road construction, development of the power industry, increase of money orders from labor migrants. This will give rise to development of such economic sectors as construction, services and trade. Medium-run development rates are expected to be high due to an increase in household income. Investments from China, Russia and Iran are expected to cause an increase in production volumes in real economic sectors. Along with that the country’s economy is still dependent on the condition of several key sectors that are vulnerable to large price fluctuations in the world market such as aluminum, cotton, and the power industry. Starting from 1997, there is a constant GDP growth in Tajikistan's economy. In 2008 GDP's growth in current prices was 7,9%. Growth has increased within the last 5 years from 6,7% to 10,6%. The decrease of cotton production and electricity generation caused the slowdown of GDP growth in particular years. Internal demand in general is still at high level that caused by the increase of salary and inflow of money orders from labor immigrants working abroad. Tajikistan's foreign trade turnover for 11 months of 2008 года was US$4,3014 mln., which was 17,9% higher compared to its 2007 turnover. 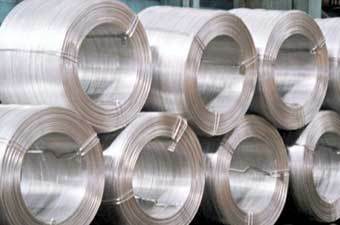 More than half of the income arises from aluminum an export, significant share also arises from electric power, cotton, fruits, vegetable oil, and textile exports. Tajikistan exports 25% of its products to the Netherlands and Turkey, 10% to Latvia andSwitzerland, 9% to Uzbekistan, 7% to Russia, and 6% to Iran. Electric energy, oil products, aluminum dioxide, machinery and equipment, and foodstuffs are being imported. Main partners on import are Russia (20%), Uzbekistan(15%), Kazakhstan (11%), Azerbaijan (7%), UkraineRomania (5%). National economy includes more than 90 sectors. Majority of companies have been transformed into joint stock companies and private entities, some with attraction of foreign investment. At present, Tajikistan has achieved a qualitatively new stage of development, when restructuring of various sectors of economy and private sector development started to bring some positive results. Under these circumstances, investments in real sector of economy become effective and profitable. With the view to further promote foreign direct investment and develop of real sector of economy, the Government has drafted a new law On free economic zones (FEZ) in the RT, which is currently being reviewed by the Parliament. Draft law provides for legal and economic basis of organization and functioning of FEZ as separate areas with special customs and tax regimes within their boundaries, including full or partial relief from customs tariff when importing goods to FEZ; simplified procedure for transportation of goods and vehicles across FEZ boundaries; and cancellation of non-tariff restrictions. It is also proposed that legal and physical persons Residence and non residents duly registered on the territoryof FEZ will receive full or partial exemption from taxes and other contributions during their operating in FEZ, if they are directed into production on the territory of the RT It is expected that this law will come into force soon. Law On foreign investment in the Republic of Tajikistan (RT) remains the main legal documents that govern activity of foreign investors. Foreign investments on the territory of Tajikistan cannot be nationalized. Investors enjoy a guaranteed right to repatriate profits and other amounts in foreign currency abroad, provided that they have been received legally from made investments. Profits received ion the territory of RT can be reinvested in accordance with investors request and in compliance with national legislation. Investors can open and maintain accounts in local and foreign currencies in authorized banks of the RT, as well as abroad. Investors may use founds accumulated in local currency accounts to purchase foreign currency under of the prevailing legislation with regard to purchase and sale of foreign currency. When investor stops its activity on the territory of the RT he has a right to receive compensations for his investment and received profits in a monetary or commodity form at real prices prevailing at the time of stoppage of investment activity. Enter into agreements with local legal and physical persons, which provide for other form of foreign investments. An investor may also participate in privatization of assets, which are owned by the state or communal authorities in a manner provided for by prevailing legislation. The Government has created foreign investment legal framework with regard to property and proprietary right, which can not be less attractive that legal framework for local companies, entities and citizens. Moreover, the government may provide for additional tax and other preferences in priority areas of economy and geographic regions. Investors and companies with foreign participation may engage into any allowed by law of the RT However, investors and companies with foreign participation may engage in several type activities upon receipt of special permit (license). There are also other legislation acts on foreign investments such "On privatization of state property" and "On joint stock companies". The depths of Tajikistan contain almost all elements of the periodic table and are the unique store of minerals. Today Tajikistan has discovered, prospected and prepared for development 400 ore and other minerals deposits. Tajikistan is referred to the category of countries having considerable deposits of precious metals. There are a few gold and ore deposits in Zaravshan Valley (Chore, Shahbas, Kum-manor), which are aimed to ensure a long-term operation of gold-mining enterprises. According to the data provided by the Academy of Sciences of the Republic ofTajikistan, today there are 28 deposits of gold on the territory of Tajikistan with a general capacity amounting to about 429, 3 tons. Bolshoy Konimansur, which is the second largest deposit of silver in the world, is located in the north of the country, on the territory of Sughd region. If Tajikistan produces up to 50 tons of silver annually, the silver reserves shall be still sufficient for more than 150 years. Tajikistan holds the first place amongst the CIS countries for its reserves of antimony. The largest deposit of antimony is "Skalnoye" (over 50% of the CIS reserves of antimony). Apart from antimony and mercury reserves, there are 214 deposits of other natural resources in Sugd region, such as: lead and zinc (16 deposits), copper and bismuth (3), molybdenum and wolframite (1), strontium (2), iron (3), gold (15), silver (7), tin (1), coal (11), oil and gas (11), fluorspar (5), rock-salt (1) and etc. The mining area Uchkado is unique for its content of gold, silver, lead, zinc and antimony. According to preliminary calculations, the estimate value of the hidden ores of metals exceeds 10 billion US dollars. There is no other deposit of that kind elsewhere in the world. In the north of Tajikistan there are inexhaustible deposits of minerals used as construction and decoration materials: marble, granite, volcanic tuff, limestone, and mineral springs. Out of non-ore natural resources the most perspective and valuable are Kshut-Zauranskoye and Fan-Yagnobskoye coal-mining areas. This coal can be used to produce the cheapest liquid and gaseous fuel. The coal reserves in here are sufficient for about 200 years. In Central Tajikistan, 95 km away from Dushanbe, there is a wolframite mining area called "Maikhura". It is possible to establish a profitable enterprise with a production capacity of up to 150 thousand tons of ore per year. Four deposits of very rare metal strontium have been prospected in Khatlon oblast. The salts of strontium are widely used in metallurgy, atomic, chemical and pharmaceutical industries. The aggregate reserves of ores, which contain strontium, at the deposits Chaltash, Daudir, Chilkutan may allow to establish a large mining enterprise with a mining capacity totaling 180 thousand tons of ore per year. This region is also known for its large deposits of lead and zinc. The largest deposit, Baldjuvan, is reported to have aggregate reserves of lead and zinc totaling 1,2 million tons each. The essential reserves of rock-salt are concentrated in the south of the country. The mining capacity of Khodja-Mumin, Khodja-Sartez, Tanabchi and Samanchi deposits amounts to tens billions tons. Mauntainous Badakhshan (MBAR) is a mountainous area with severe climatic and natural conditions. The deposits of gold, silver, copper, wolframite, mica and gems have been discovered and prospected here. According to the information provided by a well-known edition, the World Atlas HYDROPOWER & DAMS Tajikistan takes the first place in the world for its hydropower resources (specific parameters) and according to the absolute parameters (300 billion kWt/h per year) - the eighth place. Should they be used in full volume, the Republic can become the largest electricity exporter in the region. Despite availability of a considerable amount of energy resources, the country still experiences a significant energy deficiency (up to 600 million kWt/h per year), basically in winter period. Tajikistan is famous for its huge hydropower resources, which are estimated at the level of 527 billions kWt-h. However, only 3% of this potential is being used. There was lack of foreign investment in electronic power and gas coal production for the few years. Existing energy stations use only 50-8% of their capacity. Approximately 50% of equipment distribution networks and substation require rehabilitation. 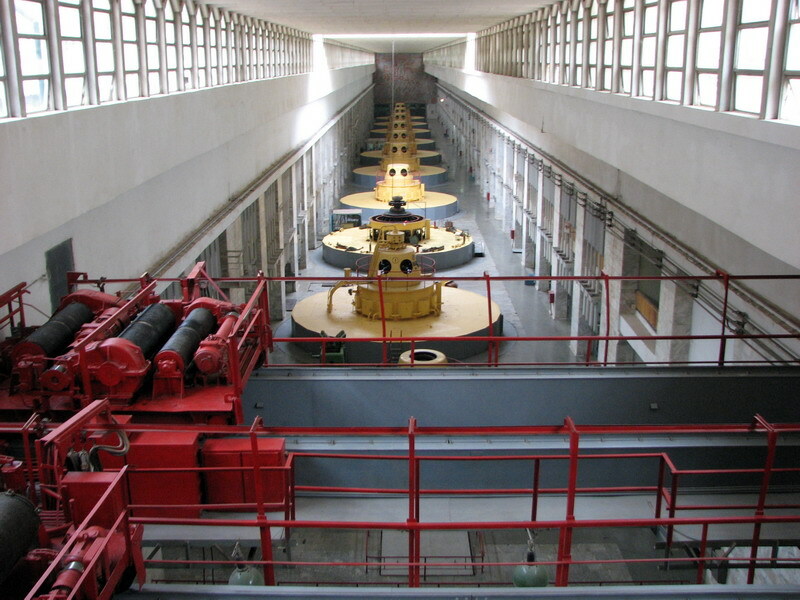 There are several hydropower plants (HPP). Nurek HPP is the largest one. Over the past years, energy generation, subject to annual water accumulation, is about 15.5 billion kWt-h. Investments in existing power facilities such as Nurek. Kairakum and Baigazi HPPs and small HPPa will allow raising generation capacity to additional 3.0 billions kWt-h. Investment of Sangtuda and Rogun HPPs construction is quite attractive for investors. General capacity of these HPPs is at the level of 2.7 and 13.1 billion kWt-h, respectively. Energy production at these HPPs id the cheapest in comparison with all power generating in Central Asian region. There are also 30 existing and 50 new SHPPs which require further investments. Limited possibilities on use alternative energy sources and low tariff on electric power encourage the use of electric power. In the period of economic recession the consumption of electrical power increased by 85 %. Barki Tojik is the national monopoly that controls the energy sector. The Government takes measures for the improvement of energy sector. Tajikgas is supplier of natural gas to population and businesses. The company has set equal tariffs for all categories of consumers with the view to cover its expenses through improved payment collection. The Government has established the Ministry of energy to manage legal and regulatory relations within the energy sector. The country has some large oil, gas and coal deposits which are offered for further development. Further development of oil and gas sector is a very attractive area for investment, since 96% of natural gas and 100% of oil deposits are imported to Tajikistan from neighboring countries. At present, Rengan deposit, located in 35 kmfrom Dushanbe, and Sargason deposit in Dangara, are proposed for foreign investors. Probable reserve of natural gas in these deposits amount to 30-50 and 100 billion m3, respectively. Electrical manufacturing industry produces transformers, low voltage equipment, lighting equipment, cables, etc. Companies closely cooperate with producers from CIS countries and have a significant potential for further development. In 1985 the rate of production for oil totaled 389 thousand tons and for gas - 309 million m3. By 1996 the oil production rate decreased by more than 10 times (26 thousand tons) and gas - by more than 6 times (47 million m3). Tajikistan is an agrarian country. 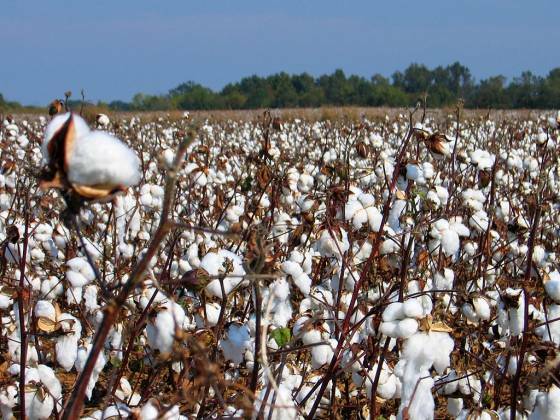 The priority agrarian branches are cotton- growing, vegetable-growing, and stock-raising, beekeeping and processing of vegetables, fruit, wool and leather. While applying modern technologies and using special equipment to process and pack these products the export capacities of the Republic will increase significantly.